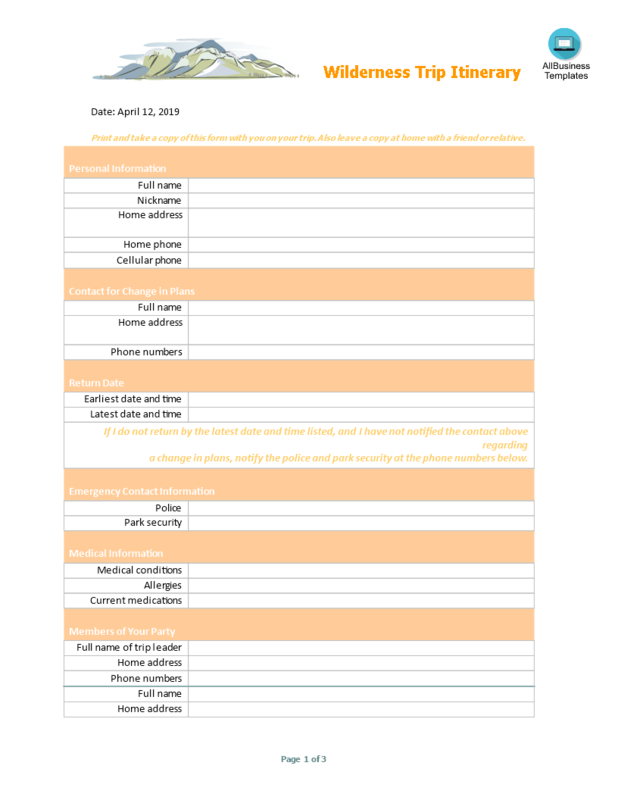 A travel itinerary template is needed when you have decided to go on a trip and want to plan several things for it. This template will include all the details of the trip such as means of the trip, the arrival and the departure time of the trip, details about the car rental, data about the accommodation and many other details. When you have decided to prepare the plan for the trip, you may face some trouble. In order to avoid that trouble, you are required to have a solid and properly designed framework which can provide you with guidance and assistance in all possible ways. And lots of other stuff is represented to you so that you can decide the things accordingly. It seems to be very simple to arrange everything in detail, however; you may find it difficult and quite complicated when you will perform it practically. Now we provide this standardized Camping Trip Itinerary template with text and formatting to help you finish your document faster. If time or quality is of the essence, this ready-made template can help you to save time and to focus on what really matters! Don't try to reinvent the wheel every time you start to work on something new! Download this Camping Trip Itinerary template now for your own benefit now! This template will perfectly suit your needs! And after downloading you can craft and customize every detail of its appearance very quickly.